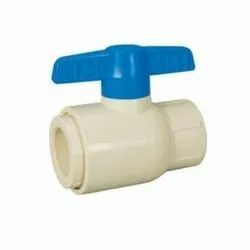 Offering you a complete choice of products which include Fittings such as Ball Valve Fittings, Brass Fittings, Dairy Fittings, Buttweld Fittings, Stainless Steel Pipe Fittings and Valve Fittings. 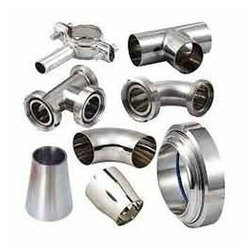 Assisted by a team of dedicated and qualified employees, we are readily indulged in offering an optimal quality compilation of Ball Valve Fittings to the respected customers. Maintaining our sync with the modern market trends, the offered products are highly demanded among the clients. Moreover, their availability with us in diverse sizes has earned us huge appreciation across the industry. 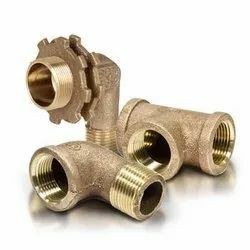 Since our inception in this industry, we are keenly committed towards offering a creatively designed consignment of Brass Fittings to our patrons. Precisely designed, the offered products are well known for their appealing appearance and highly durable nature. Moreover, the inputs utilized in the development and designing process of these are of top notch quality and procured from reliable suppliers of the industry. Reckoned amongst one of the distinguished and trustworthy organizations, we are readily involved in presenting a wide assortment of Dairy Fittings to the clients. So as to suit the changing needs and demands of our valued customers, these products are obtainable from us in different stipulations and alterations at leading price ranges. Moreover, their trendy looks and flawless finishing has enabled us in garnering a wide reputation across the market. 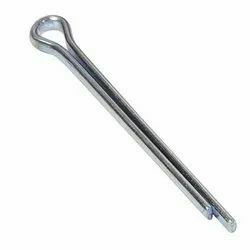 To satisfy the ever evolving and growing demands of our valued customers, we are providing an extensive collection of Cotter Pins to our huge clientele. This product is widely admired amongst the customers for their excellent finish and unmatched quality. The products we are providing are available in perfect dimensions and can be availed in various attractive designs and alluring patterns at leading market price range.